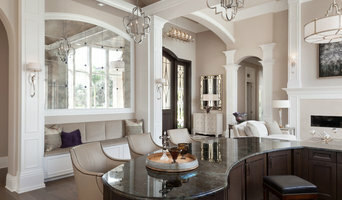 Southwest Florida’s Award-Winning Interior Design Firm-Best of Houzz! Chic on the Cheap is meant for people who want to spend money wisely. We are located in the Sarasota/Manatee area and offer a variety of services from designing your dream home from scratch, remodeling your kitchen and bathrooms to selecting furniture and paint colors. Only need a little bit of help? Our fee for a custom Interior Design Consultation & Plan is only $150. This is your opportunity to meet one-on-one with Sarasota’s most sought after and respected interior design professionals at a cost that you can afford. Jinx McDonald Interior Designs (JMID) is well known for their creative interiors that offer a combination of luxury, sophistication and comfort ideally suited to Florida's climate and lifestyle. Collaborating with each client to create a unique look that speaks to them individually, JMID is unlimited in its wide range of interior design styles. From concept to completion, we offer a full array of design services, an uncompromising commitment to quality and exceptional customer service. With three highly qualified and experienced lead designers, the company is able to tackle projects of any size. Give us a call today to get started on your next interior design project. Serving individuals and builders throughout the country, Design West provides comprehensive design services including, Interior Design, Custom Renovations, Architectural Detailing, Model Merchandising, Custom Cabinetry and Premium Home Cinema Solutions. Bonita Springs Full Service Interior Design Best of Houzz 2014-2017! 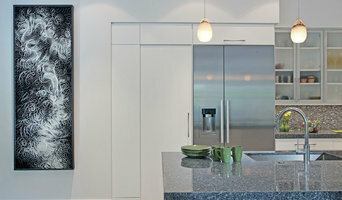 BLU interiors is a well-recognized, full-service interior design group. We are formally educated designers specializing in comprehensive interior detailing and space planning for both residential and commercial projects throughout the Southeast. We are committed to delivering successful projects on time and on budget. Our primary focus is to create functional living environments for real families. Watch our episodes from behind the scenes of HGTV's Property Brothers this summer/fall! We worked with deserving homeowners to create their dream spaces in Atlanta. "Making the World more Beautiful One Project at a Time" describes the approach of Angie D Décor's Interior Design philosophy in her 30+ years of business. She listens to the needs of the Client and unveils their comfort creatures to create the space most compatible for their style and budget. A good home design professional will hone your style down to its very essence and be able to choose a functional layout that feels natural to you. Interior design companies can be involved as much or as little as the client desires. Many clients who hire an interior decorator in Tice, FL — particularly those who are remodeling — have a good sense of how the room should look and what products they should use. Often clients will insist that interior decorators use the products already present in the house. Other times a designer will need to start from scratch — especially if this is a newly purchased or just-built home. An interior design company will need to figure out exactly what the client needs, which includes organizing rooms, picking flooring and wall colors, and finding furniture to complement it all. Sometimes that means he or she will have to recruit help from other Tice, FL home professionals to help create the perfect look for your renovation. Here are some related professionals and vendors to complement the work of interior designers & decorators: Architects & Building Designers, General Contractors, Home Builders, Design-Build Firms, Photographers. Do your research before meeting with an interior designer or home decorator in Tice, FL. Ask yourself what you want your space to become and what it will be used for. Figure out the extent of what you need help with, what your must-haves are and what your budget is. Interior design services can add up fast, so be up front with a potential design firm or individual from the beginning. Also, pick an interior decorator that fits your style. Browse through the portfolios of different Tice interior design firms and decide if you would live in those houses. Just because you like something doesn’t mean you could live in it. There's a big difference! 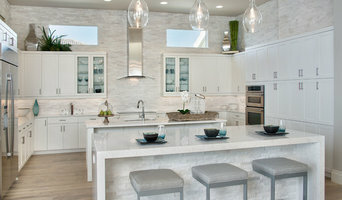 Find an interior designer or home decorator in Tice, FL on Houzz. Narrow your search in the Professionals section to find Tice interior designers near you. You can also look through Tice, FL photos to find a room you like, then contact the design firm who designed it.